We begin the publication of texts , taking example of the Pilgrim’s travel , who has accompanied and followed the production of our video and have taken independent life. For their length we will a publication of episodes , which will resume in a link in their entirety. Come non sappiamo se Pandit Pran Nath abbia mai incontrato Ravi Shankar. Pandit Pran Nath fuori dal Mercato, Pandit Ravi Shankar nel Mercato. Piace pensarla così. Ma è il Mercato a stabilire cosa è al di fuori di esso. Posto che non esiste nulla al di fuori del Mercato. “Ha senso l’arroganza di pensare d’essere in grado di cercare un altro reale? E poi ci va?” scrivevamo nel nostro primo viaggio. Ha senso l’arroganza di pretendere di essere fuori dal Mercato? Ha senso l’omerica ὕβϱις di chi si scaglia contro il Mercato? Many of the shamans beat drums and sing Even for personal pleasure, without however That there IS a difference As IOC that binds these actions: Go up into heaven or descend The underworld. 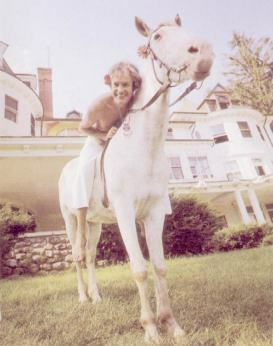 Timothy and Silver smile . They look at us from below to above. The Image is dazzling In its naturalness. The one dress only with white pants . Straddling Silver. On white blanket of Silver . In the background a white house. We don’ t know , or rather we do not remember , What year was . And is not Essential to this ” Journey” . Before or AFTER The Journey of the Four from Liverpool to India. It does not matter . 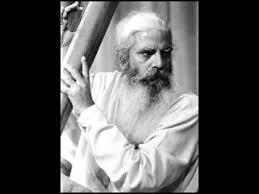 As we do not know if Pandit Pran Nath Has never met’s Ravi Shankar. “It makes sense the arrogance to think of Being Able to search for another real? And then there goes?” We wrote in our first trip. It makes sense the arrogance of claiming to Be Off the Market? It makes sense the Homeric ὕβϱις who railed against the market? those who declare themselves to be Outside the market, against the market, antithetical to the Market to being welcomed Gently, kindly, with συμπάθεια from the same market? It is the daemon δεινῶς , terrible; terrible for his ruthless Benevolence. Is the daemon of the market that presiding and regulates this reality. “The song was born before the spoken Word, Poetry was born before of prose, religion and art were born before of the science” and the Market precede everything, It is demiurge and Monad. It is The Answer to the question that makes us Eleonora Brigliadori: “What will dreaming of finding on his arrival the intergalactic traveler? How can we make him happy and thank him, rewarding him at least part of the risk faced in attempt to bring our species always higher beyond the New Limits of Knowledge? “. – You became an entity? – No. Is just because we exist on a level multiversal in time, we are in degree fasten neurologyes to form A Powerful singular unit. ?